Chiangmai apartment Smith Residence is the best choice for accommodation either for short or long stay in Chiangmai with wi-fi internet and a roof top swimming pool. Chiangmai Smith Residence is an apartment located right in Chiangmai City near the Saturday Walking Street on Wualai road. Smith Residence combines extreme exclusivity apartment with stunning design, modern luxury living in a supreme location with every conceivable luxury and state of the art technology. The roof top swimming pool, sundeck and adjoining fitness room allow gentle exercise or simple relaxation with panoramic views of the city and the majestic Doi suthep mountain. 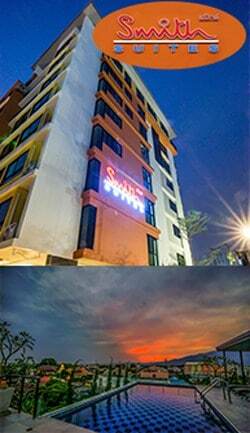 Our apartment is located near the Chiang Mai Gate area close to the fresh market and Wualai walking street. It is 10 minutes away from the Night Bazaar so you can enjoy convenient access to both business and shopping centre and exciting night life.